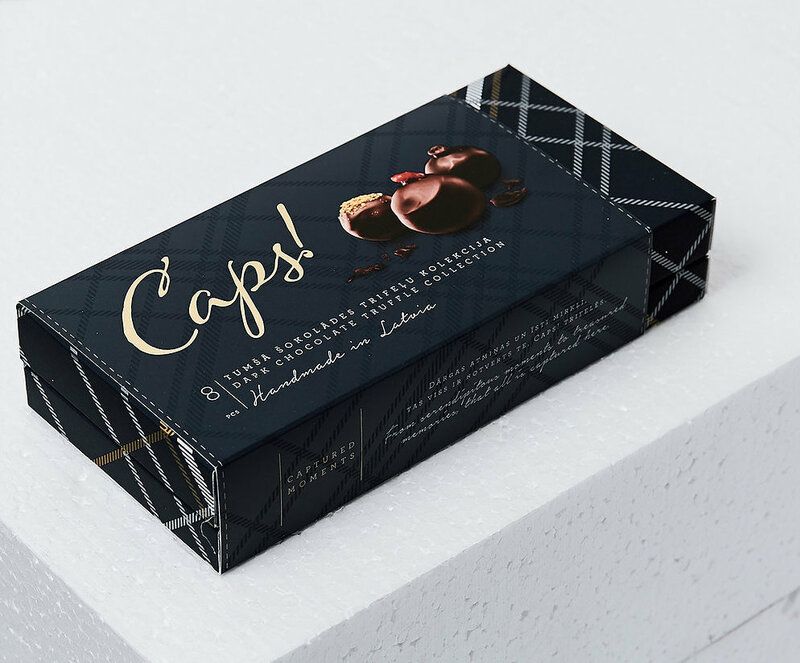 Dark & Milk Chocolate Collection, Caps! 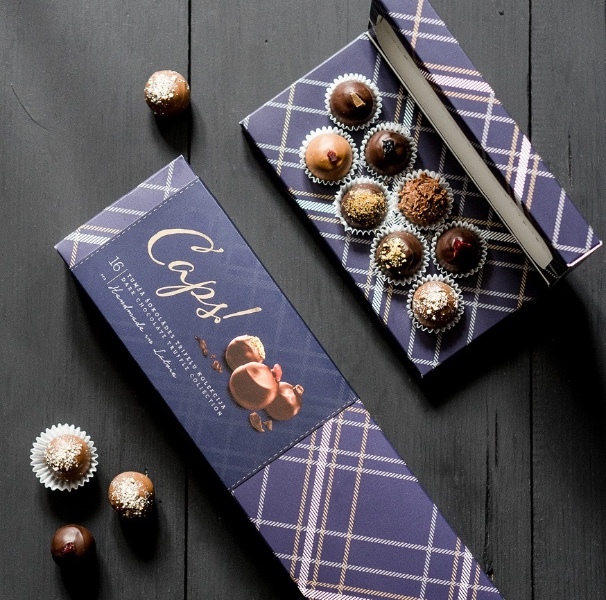 Home / Latvian Delicacies / Sweets / Dark & Milk Chocolate Collection, Caps! 95 g (8 pieces) or 190 g (16 pieces). 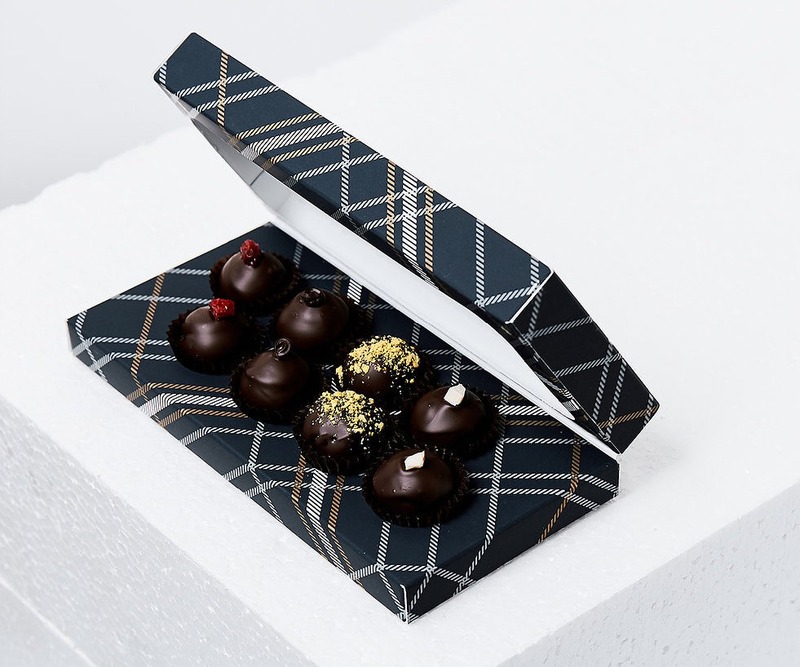 Dark & Milk Chocolate truffles collection. Handmade. In this CAPS! 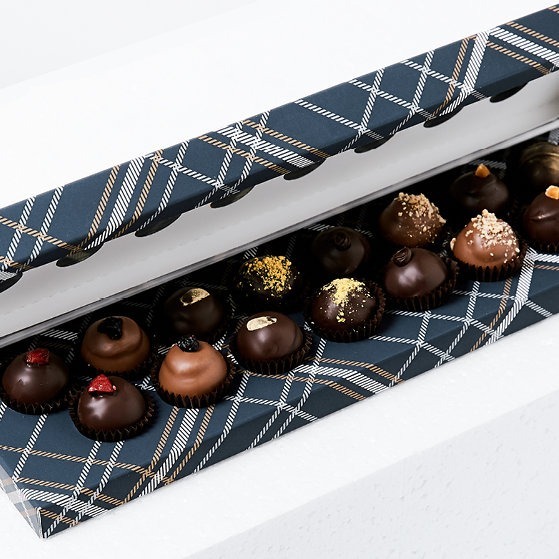 8-piece or 16-piece box you will discover exquisitely rich, velvety chocolate with fascinating flavors such as quince-pumpkin, apple-caramel, almond-cinnamon, vanilla, rye bread -cranberry and more covered only in dark and milk chocolate. Make a day extra sweet for yourself or for a special someone. Ingredients: chocolate (cacao content 55%), milk chocolate (cacao content 35%), white chocolate (cacao content 28%), sugar, cacao butter, whole milk powder, emulsifier – soya lecithin, flavouring – vanilla; double cream, almonds (4%), candied cranberries (3,3%), candied blackcurrant (3,2%), dried apples (2,6%), sour cream, sugar, candied pumpkin (2,4%), dried plums (2%), rye bread crumbs (2%), candied quince (1,8%), dried natural apricots (1,6%), candied cranberries (1%), raisins (0,7%), vanilla extract, butter, rosemary oil, cinnamon, pollen. 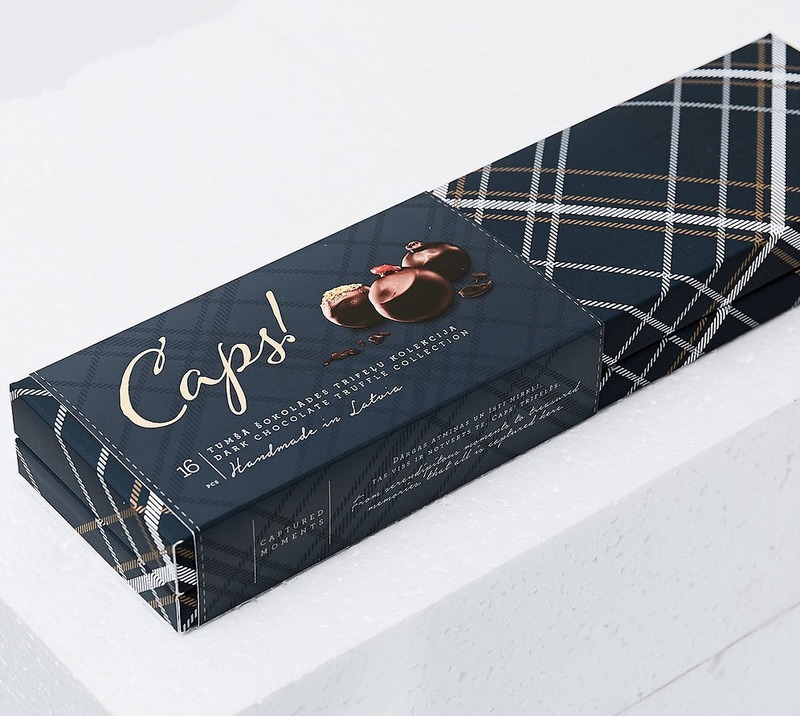 Produced in Latvia by Caps! Milk & White Chocolate Collection, Caps!